Beneath Your Beautiful was written by Timothy McKenzie, Mike Posner & Emeli Sande... Timothy Lee McKenzie also goes by the stage name of Labrinth. 2. You let all the girls go____  Makes you feel good____ Don't it? 4/4 Time: - 4 beats per bar with each beat value equal to a quarter-note or crotchet. You will notice that bars are sometimes used in the song charts. This always occurs during Intro's, Instrumentals, Outro's etc., to allow for accuracy in timing and chord duration especially if you are counting each bar. This also occurs at the end of a bar where chords are played without lyrics. Bars are also added when there is an alternative 'feel' to the song, in this case - the end of the second chorus where there is some 'ad lib' going on. Generally chords are placed directly over words where the chord change occurs on the word. Chords placed before a word means the chord is strummed before the word. The same applies to chords placed after a word. If you listen carefully as you play along you will hear these changes. 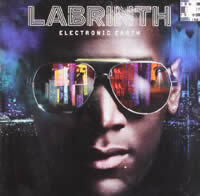 Labrinth: Born on Jan 4, 1989 in Hackney, London, England. He is a singer songwriter and record producer who plays a variety of instruments including piano, guitar, bass, keyboard and drums. Performing since 2009, he has been associated with a variety of artists including Rihanna, Tinie Tempah, Usher, Wretch 32, Ed Sheeran, Professor Green, Emeli Sande (featured), Plan B and several others. 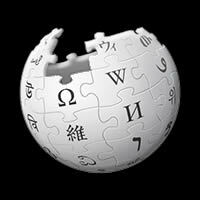 LABRINTH chords and lyrics are property and copyright of their owners. "Beneath Your Beautiful" chords and lyrics are provided for educational purposes and personal use only.